It’s a sunny day and there are sounds of children interacting on the playground. Young boys and girls are riding their bikes, playing sports and enjoying an afternoon outdoors. This picture does not accurately depict the state of affairs in many parts of today’s world. While there are certainly children who are regularly active, there are many more whose time is monopolized by eating junk food, playing video games and scrolling through social media content. 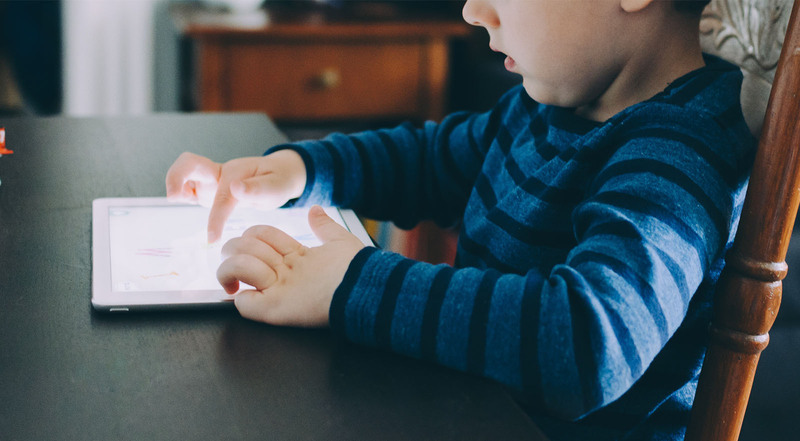 Screen time for most children and teenagers is excessive – just as it is for adults. Hours that used to be spent playing with friends or engaging in outdoor activities are now consumed by the use of smartphones, iPads, and computers. As a result, the scales have tipped in a most undesirable direction. Obesity has become an epidemic in modern society that is perpetuated by a sedentary lifestyle, poor diet, and undoubtedly, an addiction to technology. In particular, childhood and adolescent obesity have become a serious problem in the United States. According to the Centers for Disease Control, the current prevalence is staggering with more than 13 million cases. A significantly increased incidence of obesity has been noted from the toddler through the teenage years which sets the unfortunate trend for its pervasiveness in adulthood. Prior to the major boom that occurred in the technology industry over the last two decades or so, obesity was already an issue. However, its onset in the early years of life has increased tremendously since then and is of great concern in the medical community. While there are many wonderful benefits that we have enjoyed as a result of the evolution of technology, it is critical to acknowledge how this shift is, quite literally, shaping us. It is clear that the consequences of not moving are detrimental, and we must find realistic ways to respond to this wake-up call. In order to address this public health matter, there are many underlying factors that must be acknowledged both from an individual and a global standpoint. Obesity is essentially a medical issue that predisposes an individual to the development of other health problems (e.g. diabetes, hypertension, joint degeneration) during the progression from childhood into adulthood. The widespread ramifications of childhood obesity cannot be ignored; therefore, its management must be prioritized within the family unit and by healthcare professionals. Excluding genetic causes that contribute to excess weight, poor diet and lack of activity have been identified as the main culprits of obesity. The great news is that these aspects of lifestyle can be changed; the reality is that change is very difficult. Perhaps the resistance to change is even more of a barrier. In certain demographics, there are socioeconomic disadvantages that drive the tendency of poor nutrition and lack of fitness. There are learned cultural behaviors that inform eating and movement habits. Individually, there are a variety of personal, environmental and emotional factors that affect weight. This leaves us to ponder the ways in which we can thoughtfully respond to this crisis. Motion is the essence of life – it can be argued that it makes the difference between living and existing. Childhood is a time of great wonder and exploration fostered by movement. The initiative to move must be encouraged at an early age and reinforced as we grow. Proper development is dependent on movement; however, this is precisely what is lacking in most of our daily lives. While there are many forms of beneficial exercise, including sports, it is important to determine which types are safe and accessible for children who are not athletically inclined or who are unable to participate in recreational sports or traditional forms of exercise due to medical issues. Exercise is a cornerstone of good health; finding ways to exercise that are simple, effective and enjoyable can be challenging. Obesity in and of itself is a factor that can hinder one’s participation in exercise due to fatigue, breathing issues and joint pain. For children and adults alike, initiating a fitness program is often the hardest part of making the commitment to improving their health. It can be overwhelming due to the daunting amount of time that must be invested and the anticipated side effects. Workouts that are too difficult or even those that are too monotonous may also act as a deterrent to activity. How can we inspire a culture of movement in the midst of all of these barriers? 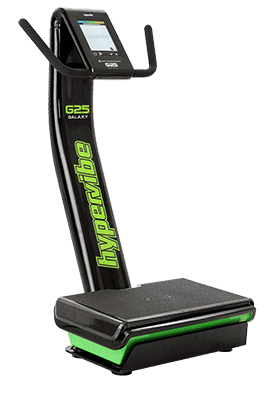 Whole-body vibration (WBV) provides a simple solution to a complex problem. The invigorating nature of WBV wakes up the nervous system in a way that can motivate individuals to break the cycle of inactivity. Since WBV is a gentle method that does not require the same degree of time or effort as conventional approaches, the likelihood of compliance and sustainability is higher. It is an ideal choice for individuals whose stamina is limited due to being overweight. While WBV is not meant to replace other routines, it may serve as a primary mode of exercise for some people. Studies have supported WBV as a viable adjunct or alternative to other exercise programs (e.g. resistance training) as it imposes lower forces on the joints and less strain on the body overall. Some of the benefits include changes in hormone levels, improvement in bone mineral content and density, enhancement of muscle strength, and reduction of adipose tissue. The incidence of bone fractures associated with the development of osteoporosis has been identified as a significant problem that is correlated with obesity. WBV can be implemented as both a preventative measure and an intervention for those who already exhibit reduced bone density. In addition, researchers have confirmed the relationship between an elevated BMI (body mass index – a measure of body fat based on height and weight) in adolescence and the onset of cardiovascular disease (e.g. heart disease, stroke) in adulthood. Preventing the occurrence of these issues in this population has been of primary interest. One study analyzed data collected from over 2 million overweight and obese adolescents in Israel between 1967 and 2010. It was discovered that 9.1% of adult fatalities were attributed to cardiovascular causes, including heart attack, stroke, and sudden death, leading the researchers to conclude that adolescent obesity is strongly associated with cardiovascular mortality in adulthood. Research has proven that the combination of diet and exercise is effective in reducing visceral adipose tissue. In a 2010 study conducted with overweight and obese adults, a 6-month WBV program was implemented in combination with dietary modifications. The group who received WBV in conjunction with the nutritional program showed the greatest reduction in visceral adipose tissue as compared to a diet-only group and a control group who received no treatment. These findings highlight the potential of WBV to reduce visceral adipose tissue, which plays an important role in the prevention of health problems that stem from obesity. The same principles can be applied when considering fitness regimens for younger individuals. While most studies pertaining to this topic have been conducted with adult subjects, there are several that have examined the effects of WBV in overweight and obese children and young adults. The results of one study conducted with overweight boys of Latino descent showed significant changes in bone mineral content (BMC) and bone mineral density (BMD) compared to baseline measurements following the completion of a 10-week WBV intervention. It was also noted that the change in BMD was only significant in the group that received vibration as compared to the control group. The findings suggested that a decrease in bone resorption (decrease in the breakdown of bone tissue) was responsible for these changes, thereby improving the quality of the bone. This emphasizes the fact that it is crucial to employ exercise programs that promote the maintenance and improvement of bone health along with weight reduction since weight loss typically results in decreased bone density. The results of an earlier study conducted with obese stunted children, ages 8 to 12, yielded positive changes in BMD, body weight and BMI. In this study, the program included dietary management and aerobic exercise for all participants, with the second group receiving the additional treatment of WBV. The findings showed that the changes in all parameters were more significant in the group who received WBV, indicating that these transformations were enhanced by vibration. In disabled pediatric patients, weight-management is also a concern. Down Syndrome is a genetic disorder affecting chromosome 21 that results in various physical and intellectual impairments. Children with Down Syndrome generally exhibit a higher propensity for obesity than children who do not have the disorder. One study recruited young adults with Down Syndrome to participate in a 20-week WBV program to determine its effect on body composition. As compared to the results of a control group, the findings indicated a decrease in body fat in the upper limbs and a tendency toward a higher percentage of lean body mass, supporting WBV as an effective intervention for children in this population. While the research pertaining to WBV and its effects on childhood and adolescent obesity is still somewhat preliminary, WBV has shown great promise in its ability to create change in these populations. 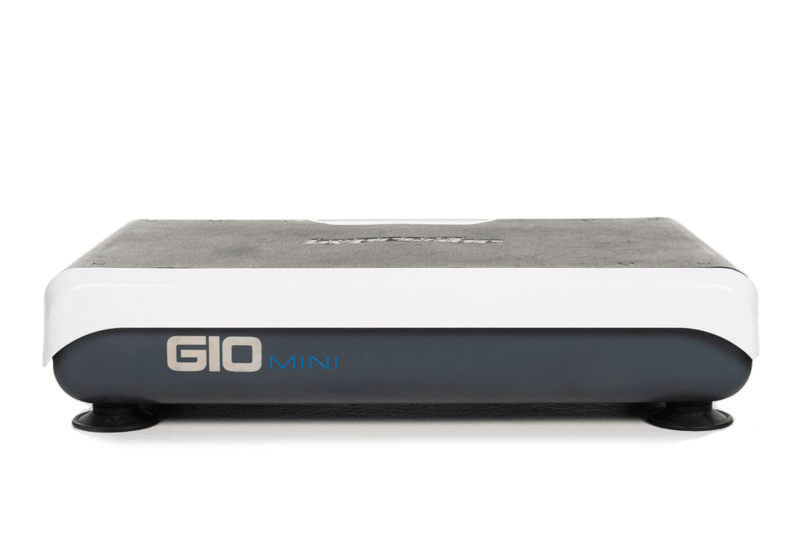 Continued research in this area will serve to highlight the additional benefits of this novel exercise tool. 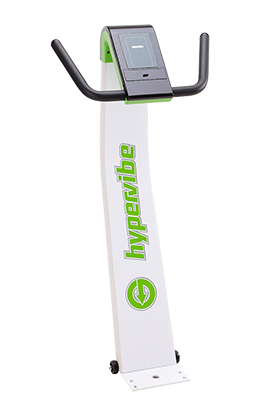 *Hypervibe offers an unparalleled WBV experience that can be tailored to meet individual needs, regardless of age. As with any exercise program, it is recommended that you contact your child’s physician before initiating WBV to ensure safety. 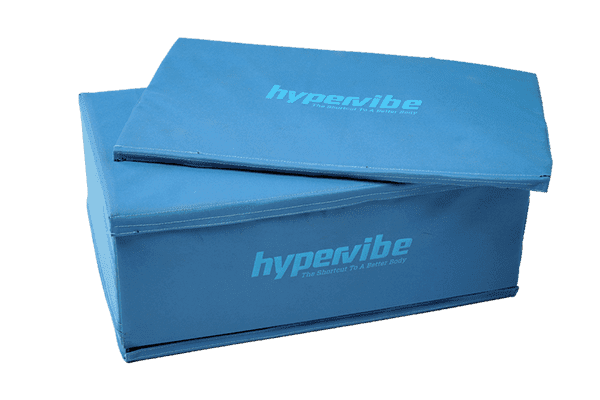 Do not hesitate to contact us for more information about how Hypervibe can help your child along the path of achieving better health. Body-Mass Index in Adolescents and Cardiovascular Death in Adulthood. New England Journal of Medicine. Twig et al, 2016. Changes in Bone Biomarkers, BMC and Insulin Resistance Following a 10-Week Whole Body Vibration Exercise Program in Overweight Latino Boys. International Journal of Medical Sciences. Erceg et al, 2015. 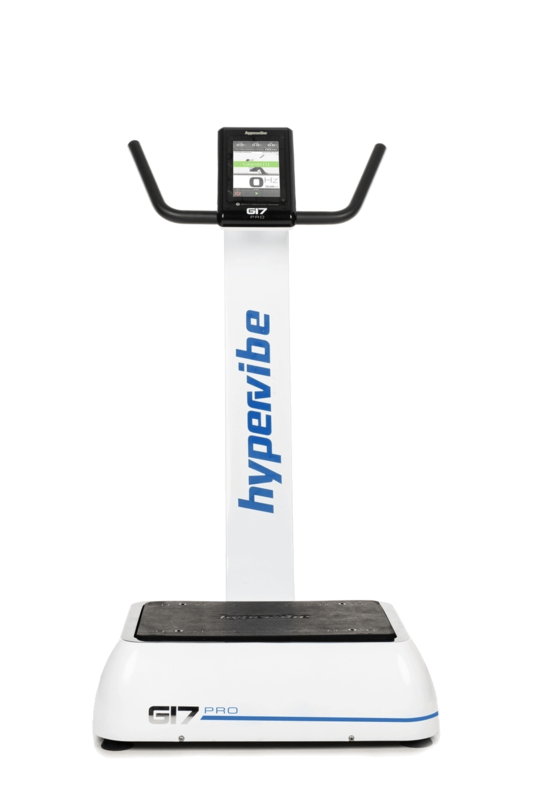 Effect of Long-Term Whole Body Vibration Training on Visceral Adipose Tissue: A Preliminary Report. Obesity Facts: The European Journal of Obesity. Vissers et al, 2010. Effect of Vibration on Bone Density in Obese Stunted Children. Report and Opinion http://www.sciencepub.net/report. Khairy et al, 2012. Effects of Whole Body Vibration Training on Body Composition in Adolescents with Down Syndrome. Research in Developmental Disabilities. Gonzalez-Aguero et al, 2013.